'Negotiation is the DNA of business' was Alan Sugar's opening line in the boardroom following the negotiation task on 10th series of the Apprentice. Essentially the hapless candidates traipse across the capital looking for items ranging from oud oil to kosher chicken. You would think that they would be looking at a negotiation strategy involving MDO's, LAA's and BATNA's. Unfortunately the actual tactics seems to be a cross between charming the seller or begging for the goods at the lowest possible price. The most provocative part of the task was the human skeleton. This needed to be anatomical and full size. 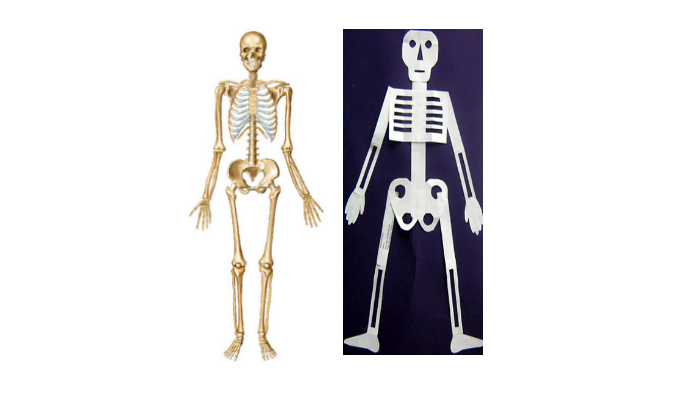 One team spent over £200 on a typical skeleton often seen in a biology class. However the others 'thought outside the box' and bought a paper skeleton that can be constructed into a full size skeleton for 10% of the other team's cost. One might have thought that Lord Sugar would have given bonus points for thinking laterally. But alas not so. No leeway was given for an exemplary case of unclear specification perhaps due to the idea arising from a lawyer, a profession that seems to be one of Lord Sugars pate hates! And so the paper skeleton was firmly put into the closet and the team fined, resulting in their failure for the task. However this wasn't the only fine they received; the other being for the inability to cut a 1.7m piece of old rope down to 1m. Giving more does not always put you in good stead! There are a great number of lessons to be learned from this example. The first is the reality that it is difficult to satisfy the requirements of a third party. While in this case Lord Sugar got to make a judgment call about the suitability of the creative skeleton (he presumably didn’t actually need the skeletons for anything) our stakeholders have specific goals in mind for each of their specifications. When you don’t have direct knowledge of how the product or service will be applied, it is hard to make sure all requirements are articulated or evaluate supplier proposed alternatives. This may also be why so many procurement organizations have not been given the green light to manage direct spend. The requirements are so specific and critical to effective operation and competitive advantage that the organization does not want to risk inserting procurement as another layer through which all information needs to pass. Which brings us to the other lesson – communication. There is a difference between being told something and having an actual working relationship with a stakeholder. If this were a real world procurement situation, I would hope the team would call up Lord Sugar and ask about the suitability of the lower cost option. The most successful cross functional efforts involve meaningful exchanges intended to get an optional result. Sugar may be the Lord in this case, but the customer is still ‘king’. Procurement’s customer service efforts must include the satisfaction of buying requirements – even when it makes it harder to hit their own performance targets such as savings. I'm fond of your articles. Thanks for sharing them. Information in the posts give me some pieces of advice.